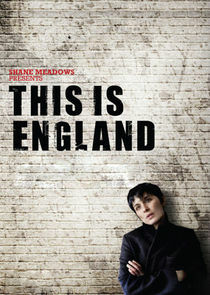 The first two series of the Channel 4 drama written and directed by Shane Meadows revisiting the characters from his 2007 film This is England. In This is England '86 Thomas Turgoose reprises his role as Shaun, a school-leaver with few prospects in mid-1980s England. Shaun and his friends must attempt to deal with the issues posed by the transition to adulthood in an unstable social climate where 3.4 million people are unemployed and there are strikes, race riots and anti-nuclear protests. The events of This is England '88 take place two years on from the initial spin-off series. Set in and around Christmas, there is a distinct absence of festive spirit as Lol (Vicky McClure) and Woody (Joe Gilgun) struggle to come to terms with events from the past. Shaun, meanwhile, learns first-hand the pain that love can bring.